A new Canadian Residents Ticket Offer has been released for 2018!! All the details here in this post. The Canadian Residents Ticket Offer for 25% OFF 4 day or longer tickets to Walt Disney World in Orlando, Florida has been extended to May 20, 2018. The promo to receive 25% OFF 3 days or more tickets to Disneyland Park in Anaheim, California ends as per the original date, February 28, 2017. You must purchase your tickets before February 28, 2017 to receive the 25% off ticket prices for Disneyland admission this year as all tickets must be used before December 31, 2017. 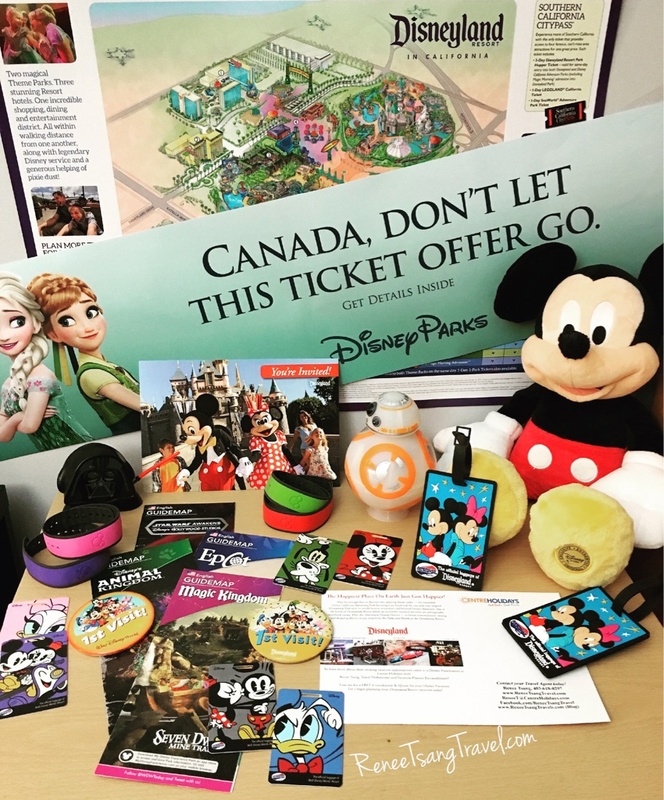 Don’t miss out on the Canadian Resident’s ticket offer from Disney if you have any plans to visit Disneyland OR Walt Disney World in your vacation travel future! Announced earlier in the fall, the ticket promotion is available for purchase until February 28, 2017. Save 25% on 4 days or more at Walt Disney World in Orlando, Florida on base park tickets (with options to upgrade to park hopper or water park fun & more options). Tickets must be purchased in advance between September 16, 2016 and February 28, 2017 and can be used anytime in 2016, 2017 and beyond. These tickets do not expire!! Save 25% on 3 days or longer theme park tickets at Disneyland in Anaheim, California. Enjoy these savings, with options to upgrade to park hopper tickets, PLUS Magic Morning access. Tickets must be purchased between September 16, 2016 to February 28, 2017 prior to travel and must be used before December 31, 2017. – Base tickets are valid for admission to one theme park per day. – Tickets can be purchased in advance anytime before February 28, 2017 but will not be activated until used in the parks. Once activated, the tickets must be used within 14 days of first use. – Tickets must be purchased in advance and are not available for purchase on location at the ticket windows. – Tickets offer is only available to Canadian residents only. A Canadian passport must be presented at the Guest Relations office or Theme Park Tickets Window when tickets are picked up. Residents of Canada who are not Canadian citizens must bring a valid passport AND valid proof of Canadian residency. – Tickets are non-refundable and non-transferable and do not include admission to separately ticketed items. – Tickets will be sold as exchange certificates, which must redeemed at the Theme Park Main Entrance for admission. This new offer is perfect for those who are looking to purchase admission tickets only without a package. If you already have accommodations and simply require tickets, this is perfect for you! This ticket offer may be combinable with other Disney promotions if eligible. A Disney Vacation Planner (like me!) will have access to all applicable Disney promotions and will be able adjust reservations if promotions become available after you book. If you have been even remotely considering planning a Disneyland or Walt Disney World vacation, now is the perfect opportunity to begin planning!! Let’s connect and get started on your Disney Vacation Planning!